have shot approx. 600 rounds so far. I use them in comp. They are highly accurate. No lead build up in barrel, helps with the accuracy also. Love them. 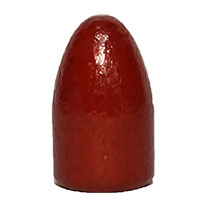 The 147 gr. 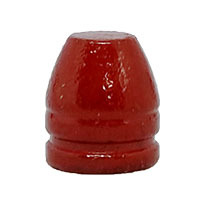 9mm is also a wonderful poly bullet. One of the most accurate bullets I've ever shot in my comp. 9mm. Good projectiles but too expensive for what they are. 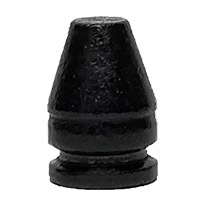 I'm a professional reloader for a known weapons manufacturer, I gave these Badman Projectiles a shot out of curiosity, the projectiles look nice load well and function as intended, but for the price you can use a multitude of FMJ projectiles or even JHP, don't get me wrong, I really like them as far as testing and reloading, but ultimately, they're just too expensive for coated hard-cast lead projectiles imho if being used for any serious large volume reloading application. That being said, if they were more value based as I feel they should be, I would probably be one of they're largest customers! Would I suggest using them for the small scale reloader, Absolutely!...But, they are priced highly imho. This is based off the price of the Sample Pack. 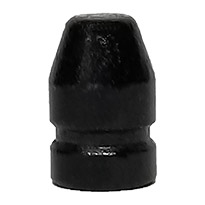 Ordering in the 1,000 quantity with Free Shipping gets the price down at or below jacketed bullets and the Polymer coating is much easier on your barrels and more accurate than jacketed or plated. See our Frequently Asked Questions page for more info. The bullets worked great. No problems loading and they worked great at the range. Just a slight plastic smell when firing.